For this tutorial we will go through some basic NES architecture so we understand what we’re working with, and we will take our first steps into NES development. 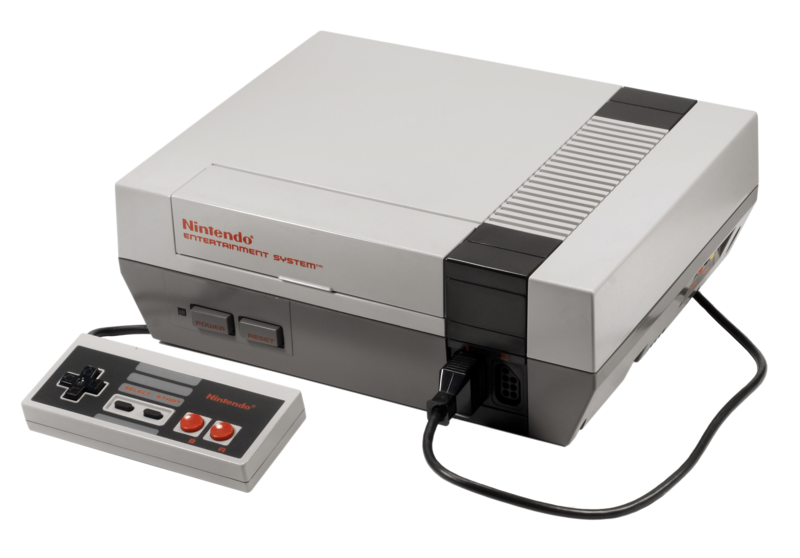 The CPU for the NES is a Ricoh 2A03 8-bit processor with a 6502 core, which runs at 1.78MHz. The CPU has a 16-bit address bus which can access 64kb of address space, which makes up a variety of things. The 16-bit addresses are written in hexadecimal, and are referred to in our code as 4 digits preceded by a dollar sign. The memory addresses will range from $0000 to $FFFF, with FFFF representing 64kb. The memory addresses are specific to the items listed above, but we will go into greater detail later. You may be questioning how games back in the day could hold all the logic and graphics data within 32kb of program ROM, because even back then that wasn’t very much. Mappers were utilized to swap out entire 8kb banks of program ROM with another bank of memory located on the cartridge. With this method, some mappers could allow up to 512kb of program ROM and 256kb of sprite data. The CPU also contains an Audio Processing Unit (APU), which handles everything we need for playing music or sound effects. The Picture Processing Unit (PPU) is a separate chip that handles all the graphics, which has 16kb of address space. It includes internal memory for sprites and the color palettes we will be using eventually, as well as the ability to store up to 4 backgrounds. The 6502 core is important for us to know because we will be using the 6502 instruction set for the assembly code we will be writing. Now, if you’re still reading this and the mention of assembly code didn’t immediately send you running for the hills, let me reassure you that it’s not that bad. Like anything we do, it takes time to get better, but fortunately the 6502 instruction set is one of the simplest and smallest instruction sets available. This is beneficial to us because it will allow us to get up and running much faster. We have a total of 56 possible instructions, but consider that we will probably only really use maybe half of those instructions regularly. The rest are either rarely or never used. The great thing about this is that once you understand those instructions, that’s what you have. If you want to move a sprite around on the screen, you will need to utilize one or more of those instructions to make that happen. I believe that it allows for added creativity in our work, and we can take great pride in it when we accomplish something. A bank can contain at most 8kb of memory, so the address space of this bank will originate at address $C000 and fill 8kb of memory beyond that address. This will be the bank that contains all our game logic, so let’s add something to it. “RESET” and “InfiniteLoop” are labels. They are not indented, and are followed by a colon. We can use labels to our advantage in many ways, one of them being like a GOTO statement in BASIC to jump to a particular label (better than line numbers, right?). We can also think of labels like method names. JMP (Jump) is the first instruction we have come across so far. Instructions are indented much like the directives are. With the JMP instruction, this tells the processor to jump to whatever label we give it. In this case, we will jump to InfiniteLoop, then immediately jump to InfiniteLoop again, and so on forever. We only ever want to call the RESET method once, so we will execute instructions there, then get ourselves stuck in an infinite loop at the very end. Once again, the NMI is a label, and RTI (Return From Interrupt) is another instruction. We will eventually put all the game logic we want to get executed each frame between our NMI label and the RTI which denotes the end of the NMI code. The only thing new you see above is the .dw directive (data word). This is used to define a word, meaning 2 bytes of data. 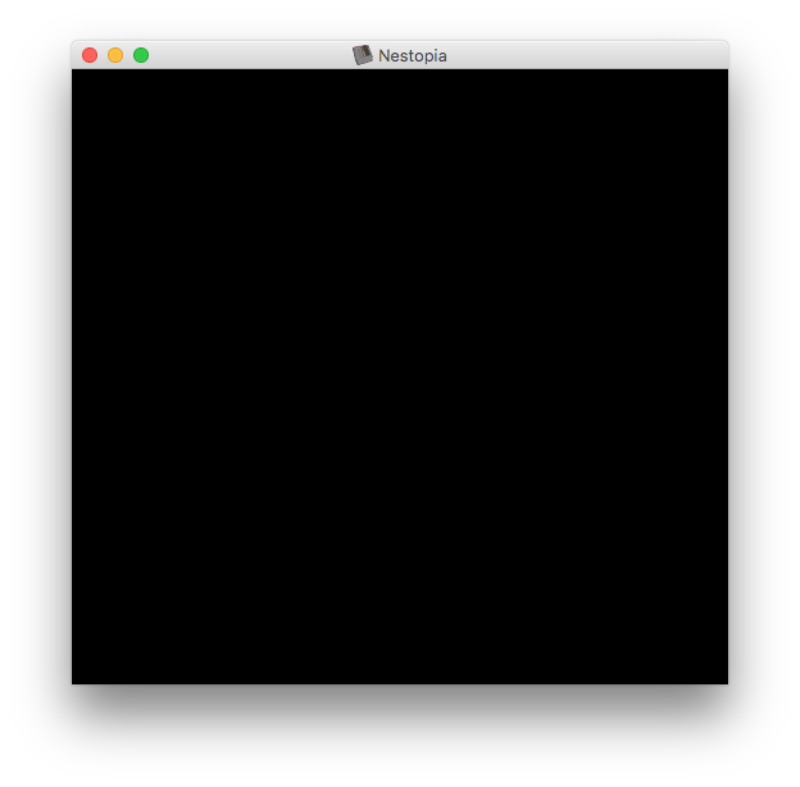 The tutorial git repository contains the nesasm assemblers for both mac and windows, as well as instructions in the README to build it for either platform. It also contains a build script (build.sh) to assemble it for mac if you want something easier.